Best way to start a morning? If you guessed freezing rain, then you are wrong. If you guessed Dunkin Donuts coffee, then ding ding ding, you are correct. Few things both relax and perk me up like a D&D coffee. 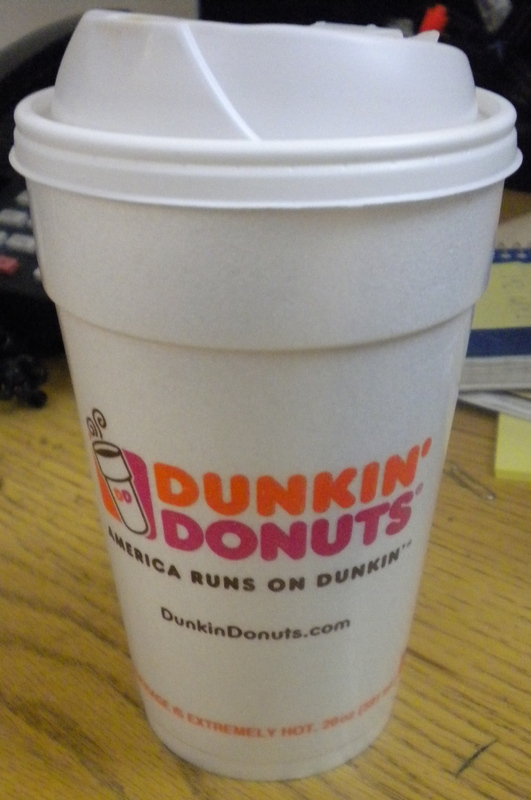 When I saw it was a rainy mess this morning, I took the opportunity to grab a cup of hazelnut coffee from D&D. Morning saved. I’m enjoying the coffee with a bowl of Honey Bunches of Oats and a baggie of assorted dried fruit. Yesterday was a wonderful Sometimes I Really Just Love NYC Sunday. Often, I find myself screaming at NYC (usually to/from work, because I can’t stand the area of the city I work in), but some days, the City gets it just right. Yesterday was one of those days. 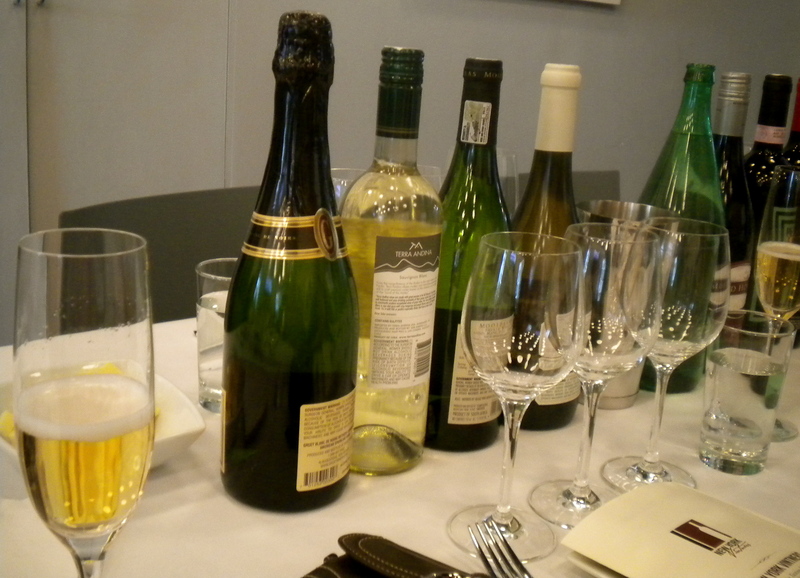 The day started at a NY Vinters wine-tasting class. The wine store offers a variety of wine classes. Cheryl and I bought a Groupon some time back, and used it yesterday to attend their Wine 101 seminar. I highly recommend this class if you have an interest in wine, but little knowledge about the drink. The classes are held in the back room of the wine store, where you’ll find two long beautifully set tables. You take your seat and sip on a glass of bubbly while you wait for class to start. 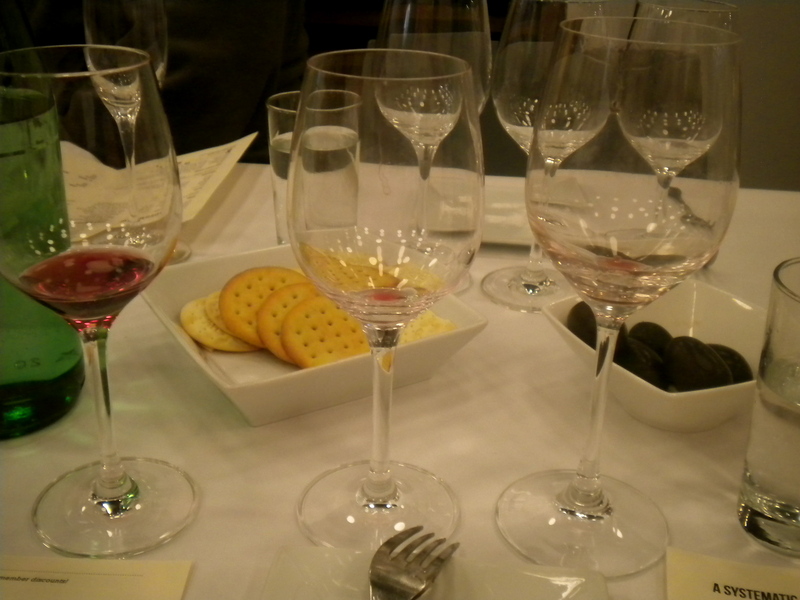 The class itself is informative and covers the basics of how to judge a wine on appearance, taste, smell, and acidity. The instructor is down to earth and makes you feel okay to ask questions. It is in no way a pretentious wine-tasting and most the wines tasted sold for under $25/bottle. You’ll taste 3 whites, 3 reds, and a dessert wine. To clean your palate, there are assorted crackers, cheeses, and olives on the tables. The pours are heavy with nearly a half glass for each wine – if you were planning on drinking them all you would walk away needing a nap after the 2-hour class – but there is a pour bucket so there is no need to get sloshed. Overall, if you are looking for a good wine class, I highly recommend NY Vinters. They offer a lot of different classes, such as pizza and wine pairings and cheese and wine pairings. They also host on occasional Fridays an 8-course dinner and wine pairing, which I am tempted to try out sometime. I have pictures of the tasting that I will add as soon as I locate my camera cable. After my wine education, I made my way to Greenwich Village, where I stopped in a nail salon to get a manicure. I have an important meeting this week, and Cheryl and I both agreed that I couldn’t go without evening out my messy nails. The salon was friendly and clean, if not a little over priced, but I guess that’s what you get when you get your nails done in the Village. I choose a light yellow color, because it said Spring! to me, and I am very happy with the sunny results. 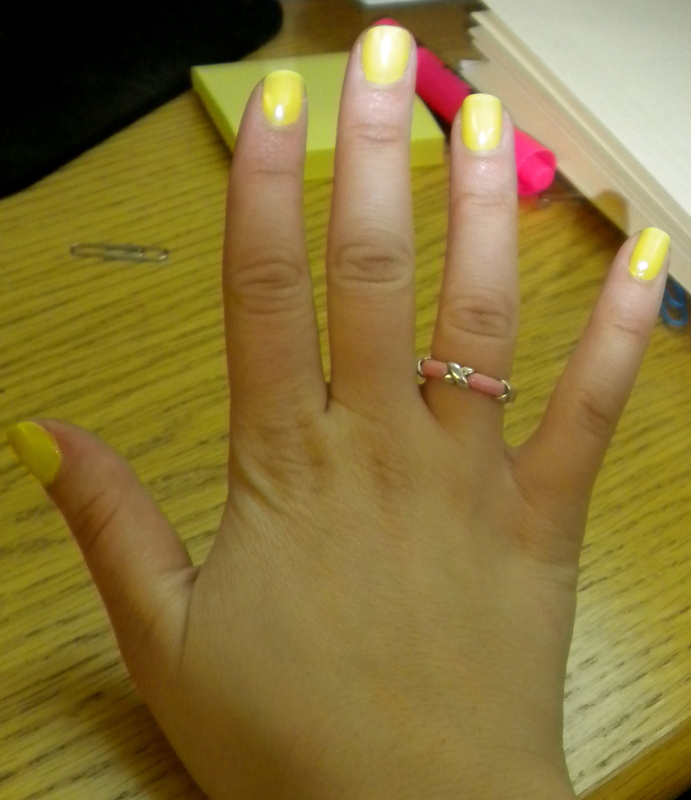 My nails match the post-it notes. When my nails were dry, I wandered on my own through the Village and peered into many stores as I made my way up to Union Square. I had initially planned to go to Trader Joe’s, but there was a line to get in. Who waits on line to get into the supermarket? Instead, I used my new found wine knowledge and stopped into their much less crowded wine store and picked out a bottle of red and white. I came out with 2 wines for under $15, which made me love TJ’s wine store. I popped into Whole Foods, which was surprisingly not crowded (all of NYC was perhaps at TJs?) and picked up some goodies for the week. Look forward to new product reviews and recipes! I ended the day, meeting Chris for dinner at our favorite Indian restaurant and watching the new Army Wives. It really was the perfect way to spend a NYC Sunday. Plus, I got so much walking in that I felt sufficiently exercised.